The Spectralink 8440 Blue WiFi Phone is an open SIP platform 802.11a/b/g/n WiFi phone which features a WebKit browser and XML API, and Push-To-Talk (PTT) functionality. This model does not work with Microsoft Lync. 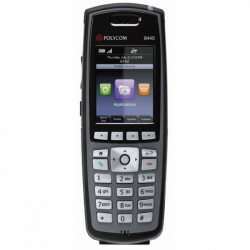 The Spectralink 8440 Black WiFi Phone is an open SIP platform 802.11a/b/g/n WiFi phone which features a WebKit browser and XML API, and Push-To-Talk (PTT) functionality. This model does not work with Microsoft Lync. 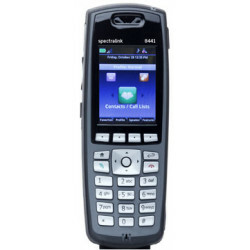 The Spectralink 8440 Blue WiFi Phone is an open SIP platform 802.11a/b/g/n WiFi phone which features a WebKit browser and XML API, and Push-To-Talk (PTT) functionality. When used with Microsoft Lync, it also supports instant messaging, presence, and Outlook calendar integration. The Spectralink 8440 Black WiFi Phone is an open SIP platform 802.11a/b/g/n WiFi phone which features a WebKit browser and XML API, and Push-To-Talk (PTT) functionality. When used with Microsoft Lync, it also supports instant messaging, presence, and Outlook calendar integration. The Spectralink 8441 WiFi Phone is an open SIP platform 802.11a/b/g/n WiFi phone which features a WebKit browser and XML API, and Push-To-Talk (PTT) functionality. 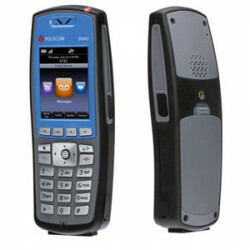 The 8441 features a dedicated Duress button, the ability to send off emergency notifications for man down, running, and lack of movement, and is compatible with Spectralink SAFE Service package. The Spectralink 8441 WiFi Phone for MS Lync is an open SIP platform 802.11a/b/g/n WiFi phone which features a WebKit browser and XML API, and Push-To-Talk (PTT) functionality. 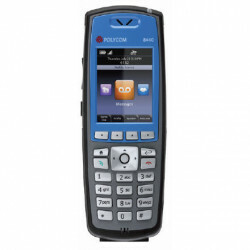 The 8441 features a dedicated Duress button, the ability to send off emergency notifications for man down, running, and lack of movement, and is compatible with Spectralink SAFE Service package. When used with Microsoft Lync, it also supports instant messaging, presence, and Outlook calendar integration.